Colin Montgomerie (centre) flanked by Team RSM members Paul Waring and Andy Sullivan. Audit, tax and consulting firm RSM UK has announced the signing of golfer Colin Montgomerie as its latest brand ambassador. The sponsorship deal is part of RSM’s ambitious partnership strategy within golf, to continue to build brand awareness across RSM’s international network spanning 116 countries. 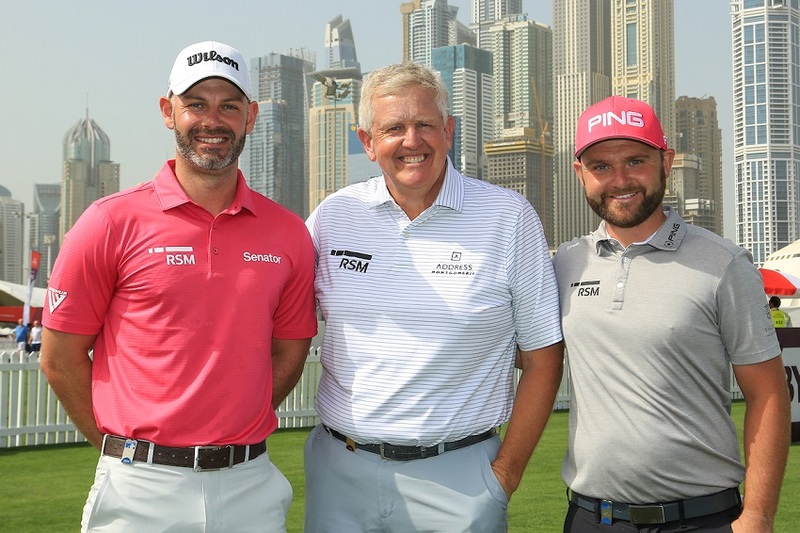 Montgomerie becomes the latest member of Team RSM, joining fellow golf professionals such as European Tour players Andy Sullivan and Paul Waring, PGA Tour players Zach Johnson and Chris Kirk and fellow former Ryder Cup captain Davis Love III. As part of the sponsorship deal, Montgomerie will wear the RSM logo on his shirt during tournaments as well as act as an RSM ambassador through personal appearances and social media. RSM described Montgomerie as “one of his generation’s most recognisable sports stars” and “a true statesman of golf”. Known affectionately to millions around the world as Monty, he is probably best known for his Ryder Cup record, having played in eight Ryder Cup Matches and unbeaten in his eight singles matches, and in October 2010 he captained the victorious European Ryder Cup Team at Celtic Manor. Monty turned pro in 1987, becoming Europe’s No.1 in 1993, a position he retained for an unprecedented run of seven years and winning eight European Tour Order of Merit titles. In 1998 he was honoured with an MBE, and in 2005 he collected an OBE from H.R.H. Prince Charles. He continues to play on the main and seniors tours in Europe and the Champions Tour in the United States.